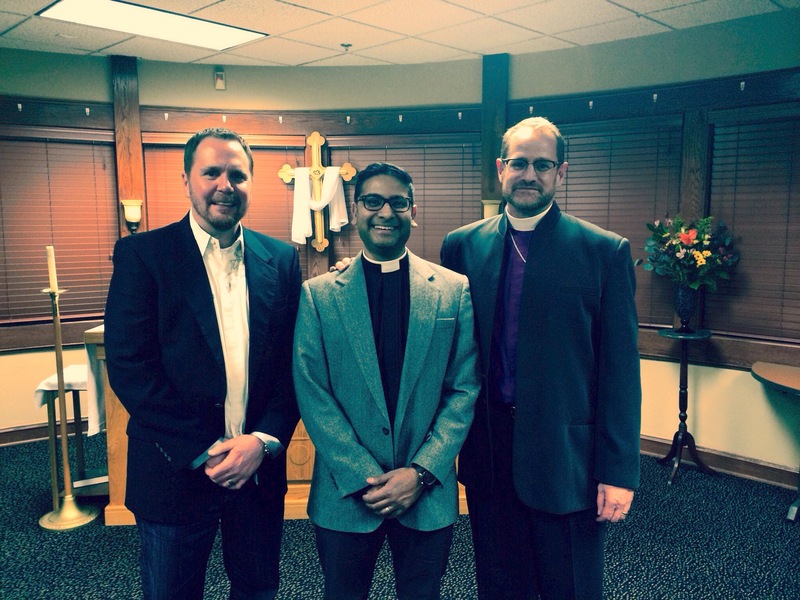 Why I’m Becoming an Anglican Priest…at New Life Church. I grew up in an Anglican home. My mother comes from several generations of Anglicans, in Singapore and Sri Lanka. As a baby, I was christened at St. Hilda’s Anglican church in Singapore. When my parents were introduced to the move of the Holy Spirit in the mid-1980’s in Malaysia, however, their parish wasn’t quite sure what to do with all of it. So eventually, we began attending a non-denominational Pentecostal church. I was 8 years old. What followed has been almost three decades of a rich and meaningful spiritual life in churches within the non-denominational, Pentecostal or Charismatic streams. I have experienced and continue to experience profound “encounters” through the Spirit in times of prayer, praise and worship, and Bible reading. I have been a witness to and a participant in the good and proper use of the gifts of the Spirit. I love the spiritual vitality that comes from believing that God is at work within His world today! So when I tell you that I am on a journey to become an Anglican priest (I was ordained as a deacon on February 17, 2014, and, God-willing, will be ordained as a priest in August), it can seem like I have either taken a sharp turn off course or have come home at last. I think there is a sense in which both are true. Let’s say this is a sharp turn off course…Imagine that you are about to embark on an adventure and you suddenly realize that you do not have what you will need when you get there. You will surely turn around to go and get it. Over the past few years, I have become more aware of how our practices—what we do and say and sing—shape our faith. While our expression in worship has become more vibrant, our formation as the people of God seems to have become more anemic. As a pastor in a non-denominational church, I cannot help but feel that we do not have the resources that we need for the future that awaits us. We have been too easily swayed by the cult of personality, too quickly enticed by trends and innovations. We need an anchor amidst the waves, a rope that guides us home in a blizzard, roots strong enough to hold up in a storm. Anglicanism has stewarded many practices from the early Christians, cultivating them and re-setting them in beautiful ways. One might even say that the Anglican gift to the wider Body of Christ is their prayer book. As I’ve visited and participated in other historic Christian worship practices, I’ve gleaned something from each, but have found something special within Anglicanism. But let’s be clear: this turn in my journey is not a rejection of the non-denominational church; it is—I hope—a contribution to it. I am called to work within the non-denominational church for a renewal that may come from re-establishing our roots. This is, in fact, a bit of what we are witnessing at New Life. What this ordination gives me is perhaps a bit of credibility and legitimacy in borrowing from the rich treasury. Maybe now I’ll be less like a liturgical thief and more like that wise steward Jesus spoke of who brings out treasures both old and new! Let’s say this is my coming home… I have learned and continue to learn from the diverse and beautiful Body of Christ. But there is something about how the Spirit weaves the details of our story together. I sense that this ordination, first as deacon, and later—God-willing—as a priest, is something of a capstone to what God has been building in me. It feels like my vocational identity as pastor and priest has been named and confirmed. The very best parts of my spiritual heritage are being brought together. The life of the Spirit, the richness of Scripture, and the mystery of the Sacrament are a threefold cord—not easily broken—that I hold onto (or is it holding me?) as I follow Jesus. But let’s say this is something more… Could this be a bit of a bridge to help us realize how much we have in common in our worship of the triune God? If we become convinced that our little corner of the world is the whole world, we will see any bridge as an invasion not an invitation. But what would happen if we trusted that the Spirit is at work, carrying out Jesus’ prayer that the Church would be one? How might the Spirit help us transcend our traditions in ways that allow us to borrow freely and be enriched by each other’s practices, even if we remain distinct in other ways? VIDEO BLOG | FEBRUARY 2014 from New Life Colorado on Vimeo. 1. Is new life downtown becoming an Anglican Church? No. New Life Downtown is a parish of New Life Church. Your giving goes 100% to New Life Church. I am “sent” as an Anglican priest to serve New Life Church. As such, I continue to be under Pastor Brady’s covering and authority, along with the elders of New Life Church. While New Life Downtown does not come under any Anglican authority, I personally hold a “dual citizenship” of sorts, with Bishop Ken Ross as my covering in the Anglican world. 2. What do Anglicans believe? Anglican theology is, to put it simply, Protestant theology. Their central document is the Bible — they are committed to the Bible as the Word of God — it is God breathed and it is the truth by which we order our lives. They also believe that Jesus is the unique Son of God — that salvation is found only in His sacrificial death and resurrection. This faith in what the Bible reveals is summed up in the historic statements of belief such as the 39 Articles and the Nicene Creed. Because Anglicanism is not a denomination with a solitary authority figure—it is a communion of bishops—the diversity within Anglicanism worldwide is rich and varied. The majority of Anglicans are in the global south—in Africa and Asia— where Christian orthodoxy and missionary zeal are combined in ways reminiscent of the early church. The majority of them are Evangelicals who affirm the authority of Scripture and embrace the work of the Holy Spirit. 3. Is this the same as the Episcopal Church? No. Anglicanism has grown out of the missionary expansion of the Church of England over the past 500 years – spreading to 164 countries, with tens of millions of members. This global fellowship of churches is experiencing tremendous growth in the Global South, where these churches are known for their vibrant faith in God and their passion for Mission. The Episcopal Church (of America) is one of the “provinces” of Anglicanism worldwide. Because of their departures from the authority of scripture (though there are certainly many bishops and priests who remain faithful to Scripture and are trying to work for reform from within), Anglicans in the Global South decided that there was a need for a biblical and missional Anglicanism in America. The Anglican Church of Rwanda was the first to plant churches in the US as missionary outposts of the Anglican Church of Rwanda in 2000. The name for Rwanda’s Missionary District in America is PEARUSA, and my ordination is through PEARUSA. In 2009 Anglicans in the Global South also established the Anglican Church in North America as a province – PEARUSA is also part of this province while still being primarily connected to the Anglican Church of Rwanda. These are all separate from the Episcopal Church. What’s So Great About the Past? Thrilled for you, my friend, and for what you are bringing to New Life. Come and join me at Webber’s Institute of Worship Studies! The writing was on the wall a decade ago with this group when they ordained a radio personality from Colorado Springs who had been confirmed an Episcopalian in his youth and not set foot in an Anglican church in the four decades since. That person also had had no Anglican seminary formation. AMiA and its descendent bodies such as PEARUSA are loose cannons that if they are not tied down to the deck will surely sink the ship. I was ordained in the Anglican Catholic Church and spent many years in the “continuum,” where I saw a growing attitude of scorn for the education and formation provided by the Episcopal Church’s seminaries–and rightly so, for the experience in these places can hardly be called even Christian any longer, let alone Anglican. Nevertheless, the “answer” the continuum chose, to focus on reading for orders, is not the answer either. The “new continuum” of those who departed from the Episcopal Church in the recent years had ignored and bypassed the earlier continuum citing poor theological education and formation, yet this direction from Ken Ross disclosing his failure to hold proper intention is a scandal and abomination no less–and probably more so–than the winking at immoral practices so beloved of Canterbury and its minions. Just as no one can point to (for example) V. Gene Robinson and say that his orders are invalid because of his moral choices, so can we not point to Glenn Packiam and call his orders invalid because of his absence of education, formation, and submission to authority. Nevertheless, we can say that in both cases, the orders of each, while certainly valid, ought never to have been bestowed. Our Lord himself warned of such things in Matthew 7.6. Rather than stand idly by while the faithful are misled, even though I cannot proclaim that the orders of Mr. Packiam and Mr. Ross are invalid, I can and will note that they were ordained improperly and decline to recognize in them the grace and discipline of holy orders. I’m not sure we’ve met, though if you’re in town, I’d be happy to remedy that. I’m sure it’s not my place to quibble with you about PEARUSA and education standards, but I thought you might be interested in knowing that I am a doctoral student in theology and ministry at St. John’s College at Durham University in the UK, with the majority of my classes being held in Cranmer Hall. All this is in addition to an undergrad in Theological/Historical, a Masters in Management, and 2 1/2 years at Fuller Theological Seminary. It may not be the educational credentials you were hoping for, but it certainly isn’t what I or many others would consider “lacking” in theological education. Perhaps this and many other mis-perceptions we may have of one another would be rectified were we to meet in person. Grace to you. God Bless you Glenn. My childrens’ early education was through an Anglican school. I used to attend chapel with them each morning and loved the liturgy, the feeling of sacredness. Your love for it has been evident through the years. I am very happy for you! Congrats Glenn on this new chapter of your service to the Lord… I’m always impressed with your passion & your on-going journey with Jesus. I appreciate your heart to anchor your community in the solid foundations of scripture; church history; and still flow with the ever moving, living, & vibrate Holy Spirit. // Don’t let the small “nit-pickers” distract you from your passion for Jesus and calling to shepherd His people. // I was raised Roman Catholic… even went to the seminary for a year and considered being a priest. After I was “born-again” I sort of followed your similar path of joining different “non-denom.” churches thru the years… not really in rebellion; but I came to believe denominational “stuff” always became the focus of a believers life rather than Jesus. IE: “…are we of Paul?… are we of Apollos?..” etc. etc. They & we are all part of the body of Christ… no one is superior… we are parts. We are one body in Christ. As you continue to journey on may your passion for Jesus always remain the center. As I have known you, I believe it will. Allow these seasons to be the tools of your life that the Lord uses to draw you & your flock(s) closer to Him. It is incredible to follow your spiritual journey as you return home, in many ways, to the traditions of Anglicanism. It is especially interesting to me having been previously at New Life and now living in the UK: I certainly relate to your observations about not always having the resources for development and encouragement of others in their spiritual formation. An anchor and strong roots to be sure are necessary. I pray that God continues to bless the community there and you as you take this next step. Thank you for being transparent and open in your journey, it is blessing. I’ve occasionally read your blog and have been following your return to Anglicanism with great interest. I was raised in a similar non-denominational church but now, after a great deal of prayer, reflection, and study, have come to the Antiochian Orthodox Church. I always felt like something was lacking at church and, the more I studied the Early Church and the Church Fathers, the more I realized just what was missing. I’m now in the process leading up to chrismation and I’ve never felt closer to God or to the Church established by His Apostles. It’s great to see that you’ve found what you were looking for in Anglicanism. The liturgy, the sacraments, the saints, the Creed: these are strong traditions that we as Christians should embrace and turn to for guidance. It is my hope that one day you will consider the Antiochian Western Rite Vicariate or the ROCOR (as many in the Anglican tradition have — the Divine Liturgy of St. Tikhon is based on the Book of Common Prayer) or another Orthodox community and be fully reconciled to the Church established by our Fathers Among the Saints. I pray that God would continue to bless and to guide you and your community. I think the point is that Anglicanism is about formation not just information. Formation happens in residential Anglican community, not by way of an on line doctorate without dissertation. But even then, you seem to be lacking information. The Anglican Communion is not a Protestant denomination. A simple review of the reformation would reveal that. The Anglican Communion is precisely that, a communion, existing alongside the Roman and Orthodox Churches. Ordination is not a step on a personal journey, but is a commitment to service under orders, and in a particular theological and worship discipline….the doctrine and discipline of this church our prayer book says, not a grab bag of resources for theater worship. Nice pen name! Should I assume you’re declining a face to face meeting? Oh, and it’s not an online doctorate…It’s a 6-year program with a cohort that includes a 70K-word dissertation. I understand your strong feelings and objections. I hear you. I happen to view corporate worship as deeply formational. I have a deep respect for the Anglican tradition. Your continued assumption that this is a stunt or a more “theatrics”, though, is hurtful and inaccurate. I don’t mean to diminish the beauty of holy orders in any way. I would be grateful if you and your colleagues would stop insinuating and assuming the very worst. Carl, this means SO much. Thank you for taking the time to write. Yes, yes, and yes: this is ALL about Jesus…helping us make much of Him…to let Him be the center, the goal and the means…and everything in between. Much love. I wonder if the issue with the other Anglican clergy in town is whereas they subjected themselves in their education, formation, and ministry to the doctrine, discipline and worship of the church, you have remained by your statements In ascendancy rather than in subject to, picking and choosing from your basically non-denominational posture and spirituality tidbits here and there from our tradition to use for your purposes rather being used yourself through the church’s historic practice and discipline for God’s mystical purposes. I think bridges are built from conversations stemming from your own integrity with us in ours, not by violating our integrity and claiming what is ours in all it’s richness to be yours fused with an entirely different form, discipline, theology, and life. This whole ordination and announcement has been very divisive and destructive within the common life of the Anglican Church in Colorado Springs…And just a reminder, Anglican deacons may not celebrate communion, nor sit in the councils of the church; they are in training and submission until approved for priesthood. You need to take a step back from this grandiosity and find a sense of humility and sensitivity to others that marks Anglican priesthood. Been a long time since I’ve visited your blog so I’m behind on these new happenings. Let me first say congrats to your crossover. It is exciting. Your article and video left me with some curiosity questions, as I’m sure the like of which is becoming a daily social task of question-answer for you at every turn. For starters, is Anglicanism really all that complimentary with independent evangelicalism, and vice versa? You said you were “recommissioned” by the Rwandan Archdioceses as a missionary to New Life. Is this what it sounds like? Are they expecting you to evangelize the evangelicals in your church with the hope of bringing them into the Anglican fold? I’m assuming most Anglicans feel that their church is THE church, the one that has its tradition, theology, and worship which the Holy Spirit has given. Independent non-denominational churches, regardless of how many Anglican traditions they include in their services, are still not “Anglican” strictly speaking. I think you put it best, you felt like a “liturgical thief” prior to making your crossover. Are the rest of the New Life congregants then liturgical thieves since they have not crossed over? I’m not trying to be offensive in any way, so please forgive me if that is the impression. I’m truly just interested in how it all works in a practical sense. In short, if independent, evangelical/non-denom (whatever the right word is) Christians are to mix with Anglican Christians they will have major points of division. To say that there are not these points of division makes the titles irrelevant hence your church should have no problem becoming Anglican, or vice versa, you should not be motivated to become Anglican. At bottom, you must be desirous of converting your flock to Anglicanism. Or no? I understand, I think, where you are coming from. I certainly don’t mean to convey a kind of ascendancy to anything. Believe me, I have enough regard for this process to have been skeptical about how this could happen…But after encouragement from Father Matt and Bp. Ross, we sensed the Lord in this. I have submitted to them throughout the process, so if you have an issue with it, you should take it up with him. There is no grandiosity or sitting on councils or anything like that from me. Ken has set up the way for me to preside over communion in this 6-month period. Again, take it up with him, if you’d like, but don’t hijack my blog anymore, please. Fr. Richard, or Don, or Mike, or whoever is writing…perhaps we could all practice a bit of humility in being slow to speak and eager to understand? Good to hear from you. Too much to respond to here…Email me? In short, Anglicans tend to not have the “we are THE church” kind of view. Being “sent” New Life is not with the intent of “evangelizing them”, but serving them. My desire is not to convert them to Anglicanism at all. My desire is for us to see Jesus, to center on Jesus, to surrender to Jesus…If a worship service is a feast, and if my ordination is like a dual citizenship, then this is about my being able to introduce a few “extra dishes” from a diff land to add to the banquet. May God continue to bless, guide, use, and encourage you in His ministry. I am none of these people you mention, but am a cleric who has heard of this conflict and is concerned with the common life in the larger ACNA of which all this has an impact, particularly PEAR’s relationship to other member churches. Formation in Anglicanism is about daily and weekly worship in an Anglican community whereby one is formed and grows by a Prayer Book discipline…enters the mystery of God and is transformed and experiences redemption and forgiveness there. I don’t see how you are now or ever have done that…a real problem for understanding or being in the mystic sweet communion of those who have. I think everyone would be interested in how it is as a deacon you can preside at Communion…a deacon’s mass using consecrated elements is only in case a priest is not available, which I understand is not the case in Colorado Springs. Can you explain how you are presiding? Tampering with Eucharistic protocol is dangerous business. Again, for anyone interested, they can speak with Bp. Ross directly. As for communion, a priest is consecrating the elements during the week and I follow a “deacon’s mass” in service. I am sure I do not have the richness in being formed by the prayer book as you and others have…but I am coming along the way. Be patient with me; be open to new possibilities, I plead. I feel a bit like the worker that has shown up at the 11th hour and is being given the “same wage”– and I am sure that feels disappointing to others who have been laboring all day. I respect you and your vocation and mean in no way to bring any disrepute to it or to you. Grace and peace. Too many I statements Glenn, too much self-justifying. Yes or No is what Jesus asks…leave all to follow me he asks of us, which in our tradition is not some sort of duel citizenship in two very distinct religious worlds and disciplines, but a true selling all, going off for a period intense formation, and then and only then joining us at the 11th hour in the work. Your statements and the announcement and video above reflect a credential by ordination added to a ministry and gospel of which you are in charge as purveyor…in Anglicanism through a dignified and reverent worship, not drowned out by stages full of loud bands and dancers, we hear God’s voice by His Holy Spirit speak to us and shapes us in a mystical way, not a forced or simply emotionally driven way. You can’t add bits of Anglicanism for seasoning to a different form of worship and get the same flavor or result…let New Life be New Life and the Anglican Churches in your town be Anglican Churches and don’t feel superior to the wisdom of the ages that you can mix the two to improve the result. It seems that there are “I” statements brought on by “I” statements. Are those whom God has newly led into Anglicanism not truly Anglican? Let’s rejoice in what different parts of Christ’s body can learn from each other. Let’s rejoice that the Anglican Communion realizes that it can reach out beyond the walls of Canterbury. Let’s rejoice that others want to learn of the historic Church and corporate worship with Word and Table. Let us celebrate that God is doing a new thing! The whole point of tradition in Anglicanism is that God is not doing a new thing, he did what he did in Jesus once and for all. It may be new to us, and we need tradition to assure we interpret what God is doing rightly. To learn Anglicanism is to submit to its teaching, practice, tradition, and common life…not adapt it to another worship form, culture, and theology. As I have said…let those interested in Anglicanism go to an Anglican Church with properly and historically trained Anglican clergy…and those seeking and needing affirmation go to those churches. The above announcement does not indicate much more than a like of some Anglican prayers, not a full blown Anglican discipline, formation, and practice. That needs to be left to the professionals anyway. It seems that Glenn Packiam is becoming properly and historically trained. Perhaps the point for the congregation he serves is to be part of the larger, historic Church, rather than sitting by themselves in their own corner. God has once-for-all done the Main Thing in Jesus, the Christ, but He is always doing a new thing, even in Anglicanism (for example both the Wesleys and the Oxford Movement). Isaiah 43:19. I have no desire to argue. God bless you in your service for Him. Maybe I will email you. It seems that you’re getting quite a push-back from some Anglicans a few replies up. The last thing you need is to answer questions from a merely curious Orthodox Christian with no investment on either side (Anglican or non-denom). Let me just say briefly that if I were a member of New Life (pre-Orthodox conversion) and I was impressed with your new life with Anglicanism I would be more than tempted to convert to Anglicanism and I would choose to attend an Anglican Church in order to get the full flavor. In the months and years ahead I wager you and the New Life pastoral staff will have numerous members who follow my hypothetical situation. I wouldn’t be able to carry a “dual citizenship,” but that’s just me. It would be wholly out of the question in the Orthodox Church. For us it would be the equivalent of continuing to date after getting married. Forgive me if it is inappropriate for me to weigh in on this discussion. In the first place, I really do understand those that are skeptical regarding Glenn’s motives and his journey in general. I can understand and appreciate how it may come across as an invasion from an outsider looking in by someone who has not been a product of that ongoing spiritual formation. On the other hand, a person with a Charismatic/Pentecostal background like Glenn is the least of one’s worries. Moreover, it may prove to be one of the churches greatest assets in the long run. Why? Because there are an increasing number of people like me who share a similar ethos in their spiritual journey, but who increasingly recognize, for example, that the memorialistic approach to the sacraments many early Pentecostals and Charismatics unwittingly adopted from the Baptists, (my previous tradition), upon more careful reflection not only proved inadequate but ultimately contradictory to a consistent Pentecostal/Charismatic faith. As the Pentecostal/Charismatic Movement continues to mature, it is increasingly likely its adherents will increasingly recognize the need and the value that a “high church” context provides. If Anglicans choose to see this as an invasion and a threat rather than a step toward a greater unity within the body, then further division and not greater unity will be an unfortunate and ultimately unnecessary consequence of one’s ongoing spiritual journey. If, on the other hand, these people like Glenn are embraced, then it seems to me that it offers the Church a tremendous opportunity ultimately to to preserve the value of its most fundamental traditions.The truth is, the Church’s greatest threat is not “uninitiated” charismatics like Glenn, but secular humanists who seek to minimize the Faith at any cost.It is time for the church to pick its battles. Blessings. No argument Ric, and not a worry to us: this ordination is wrong by all of our Anglican standards, which Bishop Ross is supposed to protect, not violate. From what I understand this will be taken up at the highest levels of the Communion and corrected from on high the way it happens in a hierarchical church. As Glenn points out in a sense, this is not his fault but Bishop Ross’. Although Ross himself has little regard for our tradition and practice, he should have known better about this. Glenn, I am overjoyed to have you in our Anglican Family and specifically in our PEARUSA Western Network. I enjoyed reading this little window into your journey and I look forward to opportunities to hear more. I think that you hit on the heart of one of the greatest strengths of the Anglican Tradition – that we are very self-consciously NOT about claiming to have the corner on the market defining what it means to be a God honoring expression of this living, breathing organism we call the Church (as the 39 Articles and Chicago-Lambeth Quadrilateral both attest). As such Anglicanism is fertile ground for cross pollination and I for one am excited for you and for us. I know the Lord will birth exciting things in both the non-denominational and Anglican worlds because of this bridge you are building. I will continue to pray that your ministry is fruitful and that this exciting, Kingdom centered vision remains undimmed. Glenn, the blessings of God to you, brother. You will be continually in my prayers. And to those who are having difficulty understand the grace of God that has come to you and us by your ordination I ask………When did the light of a candle become greater than the light of the Spirit in a man’s life? When did incense trump the prayers of a devout man to his God? When did a litany enrich a man and change a man more than the new birth that binds the Body? Where in Ephesians are we told “…one Lord, one faith, one baptism, one Anglicanism of all that is over all and through all and in all” When did the institution become more important than the humanity that comprises the institution? In which scripture does it tell us that publicly deriding a brother or sister in Christ is pleasing to God and glorifies God before the world? What exactly was Paul’s reply to those who those claimed “I am of Paul”, and “I of Apollos”, and “I of Cepahas”, and “I of Christ”. He said, “Is Christ divided?” And who is the measure of a man other than his God, that he should be judged by supposed brothers for diligently serving the One (not the institution or sect) that truly gave him his calling. Shameful conduct…… Instead praise and encourage your brother whom Christ has called. Wish him well in all things; that he would produce eternal fruit for Christ and the Kingdom. Great to hear a little of your journey. Your gracious replies here tell me that I, for one, would definitely love to meet up with you in person! Alas, I’m in Seattle. Here’s hoping our paths cross before too long somehow. When they do, coffee or pints on me, brother. I’ve been a part of this Anglican adventure for the past 15 years, and it has been a wild and beautiful journey. Glad to be connected with you along the way. A blessed Ash Wednesday to you! Bless you Glenn, and the blessings of God on your ministry. My family will be praying for you. For those who cannot understand the great blessing you are by virtue of your calling, not your moniker or brand, but your calling, I ask: When did the light of a candle become greater than the light of the Spirit in a man’s life? When did incense trump the prayers of a devout man to his God? When did a litany enrich a man and change a man more than the new birth that binds the Body? Where in Ephesians are we told “…one Lord, one faith, one baptism, one Anglicanism of all that is over all and through all and in all” When did the institution become more important than the humanity that comprises the institution? In which scripture does it tell us that publicly deriding a brother or sister in Christ is pleasing to God and glorifies God before the world? What exactly was Paul’s reply to those who those claimed “I am of Paul”, and “I of Apollos”, and “I of Cepahas”, and “I of Christ”. He said, “Is Christ divided?” And who is the measure of a man other than his God, that he should be judged by supposed brothers for diligently serving the One (not the institution or sect) that truly gave him his calling. Shameful conduct…… Instead praise and encourage your brother whom Christ has called. Wish him well in all things; that he would produce eternal fruit for Christ and the Kingdom. Thank you, Michael. Grace to you. Thank you, Bp. Hoskins. So grateful for the encouragement…and full of anticipation for what the Lord is up to. Thank you for the wonderful reminder of our Lord whom we serve, and whose Body to whom we belong. Grace to you. I don’t think any of us mind a non-denom picking around and using parts of the prayer book, but once you are an Anglican priest you submit yourself to the doctrine, discipline and worship of our Church, which means you use, teach, pray, and worship from the Book of Common Prayer according to its usage, rubrics, and structure. When you make that commitment in ordination, coming under orders, those are the orders…and what is offensive in your case is that you are announcing on the front end that you are not going to do that or just don’t get that, and thus undermine the very priesthood you are wrongly seeking. If the Holy Spirit was calling you to this, there would be general rejoicing in the Anglican Communion, but instead their is great consternation, broken relations, controversy, and fractured communion about precisely this issue of your dual citizenship and wrong understanding of ordination. Please just withdraw and go back to the good work you do as a non-denom and leave Anglicanism to those willing to make that required complete commitment. We haven’t met, but I have attended the New Life downtown church, and it delighted me to see what the Lord is doing through you. As an Anglican priest for 30 years (24 in TEC), I can say that some of my colleagues are living in the past. Anglicanism is quickly changing, and there are many who are attracted to what God is doing through the ACNA (of which PEARUSA is a part). We would be remiss not to welcome you and all others who feel called to lead God’s people in Spirit-filled sacramental/liturgical worship. In an age of worship that is little more than entertainment, and nominal Christianity, I see a longing in the hearts of God’s people for worship and discipleship that is rooted in thr church’s 2000 year-old history. Furthermore, many do not have the opportunity to spend three years in residence in an Anglican seminary (as I did). Alternative means of education and formation are being widely used for preparation for ordination, out of sheer necessity. God bless you, brother, and please ignore the crankies. Just a quick note to say that I was honored to be a part of your recent ordination to the Anglican Diaconate. You and I have shared some deep conversation and prayer. I respect you immensely, and I look forward to what you will continue to bring to our Anglican and Colorado-Springs-Christian fellowship. Add to that your studies at St. John’s! Your ordination service, which I know that you know, was, of course, about more than just you or me or anyone’s feelings about it. It was a wonderful example of the historic Anglican tradition moving forward in a 21st North American context in a, admittedly, unique manner. Of course we all still have much to learn, and remember, in all humility. I say that in sincerity, it is not a throw-away line. At the same time, the future is bright. A future trusting in God’s active involvement while also being exciting and ambiguous … a fairly Biblical pattern. Ordination is not about dual citizenship…it is about total commitment to the doctrine, discipline, and worship of the Anglican Church. It is fine to borrow from our Prayer Book as a non-denom, but once ordained you have committed yourself to use it strictly and absolutely. This is causing considerable consternation around ACNA, if it were truly of the Holy Spirit, there would be a developing unity, not the developing division. The time has come to back down and back into a viable New Life ministry instead of tampering with an Anglicanism that is offended by this impossible and always rejected dual citizenship. Wowser. I missed out on a lot in a few days. I think perhaps the issue is that you just don’t dance into a 500 year old tradition, especially without a professional seminary education and classical priestly formation and announce what is good and what needs changing and adapting…and that goes even for someone who has been ordained for decades as well. This why ordination is about forsaking speculative theology and experimental liturgy (the downfall of the Episcopal Church) and pledging obedience to the doctrine, worship and discipline as this church has received them…very different from as I decide to use them. Might even be normal good manners to wait, learn, and listen before announcing one has arrived to save the church to make it more like New Life or even New Life more like Anglicanism. Dual ordination means a lack of firm decision for either…Like getting married to one girl but still living with your old girl friend. Isn’t “moving forward in a context” what caused all the heart ache in the Episcopal Church? Isn’t the truth once delivered, practiced in Apostolic form is the whole point of Anglicanism? Or did they not teach that in the three year seminary curriculum?